From neighborhood restaurants to national and global hotel chains, we're the insurance broker of choice for some of the most recognizable names in the hospitality industry. Today’s hospitality organizations face a wide range of risks from data breaches and penalties associated with the Affordable Care Act to workers compensation claims and more. At Marsh & McLennan Agency (MMA), we understand and appreciate the complexity of these risks. Our dedicated team of specialists partner with hospitality organizations to offer the insight and guidance necessary to develop smart and cost-effective insurance programs. 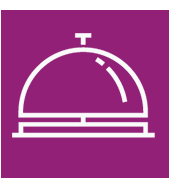 Through exclusive carrier partnerships, a national footprint, local and specialized knowledge and expertise in the hospitality industry, MMA delivers solutions that bring value while also minimizing risk.